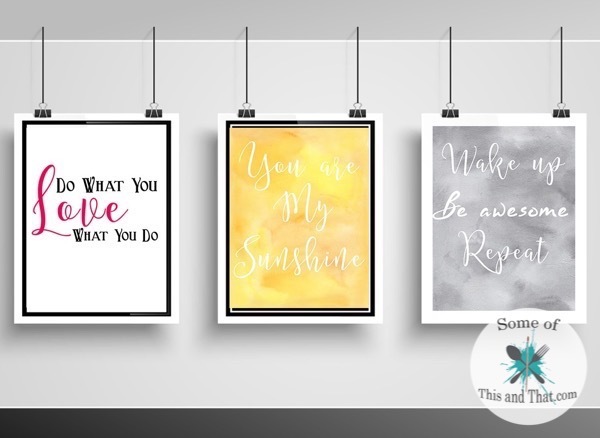 Each inspirational printable comes in 8×10 and you can print them right at home! Do what you love, love what you do is something I live by. I was once told to find something I love doing and figure out a way to make money from it. Even though I have found my passion, sometimes a little reminder is needed. 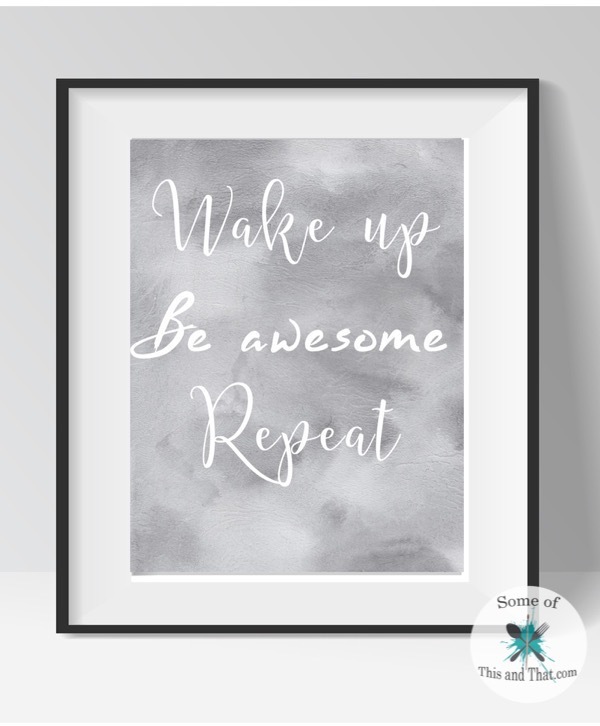 Wake up, be awesome, repeat is a phrase that everyone should live by. If you do not accomplish anything today, as long as you were at awesome, it does not matter. Our hallway is a “T” shape and one hall is extremely dark, so I opted to go for something fun and bright. 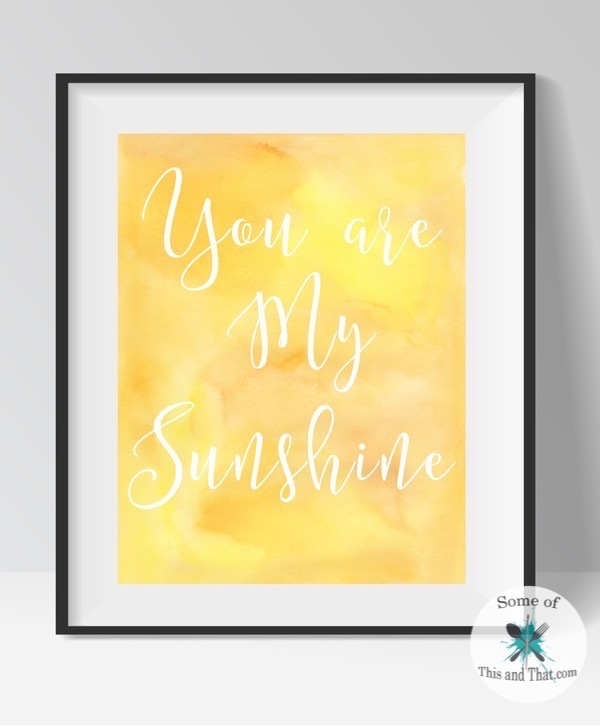 Nothing is more brighter than sunshine yellow and the classing phrase “You are my Sunshine”. [wp_eStore_download_now_button_fancy id=3]Be sure to follow us on Facebook and Pinterest for more free printables! Previous Post: « Easy Funfetti Frosting Recipe! Will use these on personalized gifts! Thank you!